Posted by Vivian on 17 August 2009; This entry is filed under General. BBC South recently featured a Dormen business client as part of its series ‘Finn’s Country’. 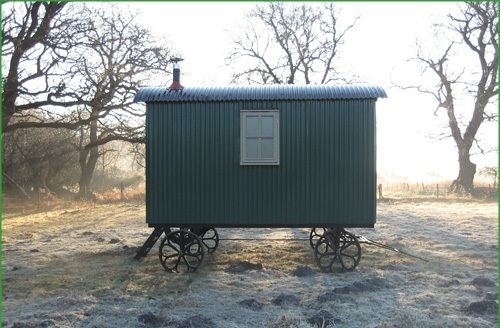 Roger Finn reported on Richard Lee and Jane Dennison’s remarkable Plankbridge business, based near Puddletown, which builds new Shepherd’s Huts, based on traditional designs. Last year Richard and Jane built and sold about one a month. This year, despite the recession, orders have been coming in so fast that the couple have taken on a full time employee and an apprentice with the aim of stepping up production to three huts a month. Richard and Jane have been supported since 2006 by Dormen mentor, Tony Garvey, who is delighted with the success they have achieved.